A few weeks ago, I was thinking that it would be no mean feat to run a 5K in Chicago on the day the city designated to observe St. Patrick’s Day. I expected the relief stations to be stocked with Jameson instead of water, and was prepared to hurdle piles of green puke. Turns out I was thinking too much of the typical Chicago St. Paddy’s Day celebration when I should instead have been concerned about the weather. It was below freezing with wind chills in the teens when I showed up in Lincoln Park three Saturday’s ago. The only good thing going was that the sun was out, and thank St. Paddy himself that I was wearing black tights and a black sweatshirt. They were two of the three protections I had against the cold, the third being heating myself up by actually running. It wasn’t pretty. The wind along the lake pelted everybody for half the race. I could never normalize my breathing since the wind was pressing against my chest so much. Thankfully, there was no snow or ice to deal with, and only one homeless person to work around who was entrenched in the tunnel we ran through underneath Lake Shore Drive. It was around the halfway point when I started to ask myself why the hell I was still trying to run thirty 5Ks. Hadn’t I given up the quest two and a half months prior after a stellar Christmas Day race? Hadn’t I decided that outdoor runs were too infrequent and too taxing on my body throughout the winter? Hadn’t I come to my senses? Well, no, I hadn’t done any of those things. I might have thought about them, but being a runner means you’re stubborn. So there I was, packed beneath a thick sweatshirt and plodding along the shores of Lake Michigan, wondering why I hadn’t slept in and stayed warm and picked the quest back up at some other time when the winds weren’t howling and I wasn’t more concerned with where The Girlfriend and I were going to go to get our St. Paddy’s on. Races come to an end, though, and that one certainly did. I finished in decent time, considering I’m still the kid who was the slowest runner on the Angola High School cross country team back in ’86-’87. The best thing that came from the race was that I finally reached past the halfway point with this absurd idea to match races with the number of years I’ve been running. The sun rose again two Saturday’s ago, and The Girlfriend and I drove down to Deer Park for another St. Patrick’s Day-themed run. Similar weather conditions, though not as cold. There was a lot of wind, and twice as many runners. I wasn’t hopeful about my results, but I broke the finish line at 26:46, fifth in my age division, and then I dodged broken glass. Some genius had the idea to give away pint glasses to finishers. You picked yours up at the finish line, and though you probably wouldn’t have been swilling Jameson as you ran, some post-race symptoms are similar to having done that–the jitters, the unsteadiness on your feet. The urge to puke. So people dropped their glasses and they broke. Others glasses got knocked off tables or blown over. The race wasn’t billed as being on a challenge course, but it ended up that way. I was happy to make it home with my pint glass intact, but the second I went to wash it I saw a crack down the side of it. I introduced it to my recycling bin. Oh well. I got in a pair of races at a time much earlier than I usually resume running outdoors, and turned in a pretty good time at one of them. I feel good about keeping after myself with fitness and staying at least near running condition over the winter. Now the goal is to knock this quest down to the single digits before summer, and hopefully put it to bed long before August happens. My research didn’t come out of the blue. Given what was happening on the political scene last year at this time, it seemed that a major candidate from one of the parties was saying or doing something that smacked of arrogance on a daily basis. I found myself flashing to thoughts of Dan most every day last year as this ugly scene unfolded. The things he said still rang clearly in my head. Finally, I looked around on the internet. Eventually, Dan left Indiana all together and took a position as a principal at a high school in South Carolina. He lasted nine years before somebody tested him on the claim he made to me about knowing how to cheat. I discovered that for his final two years as a principal, Dan changed two hundred and fourteen grades for thirty-three students. According to what I read, grades were changed from failing to passing, and Dan said he did it to provide motivation to students he felt had worked hard and deserved a break. His considerations did not, however, include his district’s policies for changing grades. At least one teacher complained about this to the right people, and those people concluded through an investigation that Dan had done exactly what the teacher accused him of doing. He not only broke district policy, but state law. The superintendent demanded Dan resign, and he did. He later surrendered his administration credentials to the South Carolina Department of Education. None of this surprised me when I read it last year. I was actually pleased in many ways. I could list about ten administrators I’ve known in my career who I’d like to see get caught for stunts they pulled. Invariably, their reasoning comes back to the most tired excuse in public education: Trying to help students. By a cursory examination of the numbers alone, Dan changed six or seven grades per student, and could have wiped out an entire semester or academic year of failing grades for a student. It’s unclear to me how that helps a student, except in the immediate circumstance of them failing and potentially not graduating. However, the consequences of Dan’s decision are tremendous. He completely nullified the judgment exercised by the teachers who saw those students every day, and ignored the standards those teachers set. Plus, students got the idea from an authority figure that they can work around difficulties in their lives. I could go on and on about this issue, but suffice it to say illicitly changing grades is a serious offense. That’s why school districts have substantive policies in regard to how it’s done, and why states have laws that apply to how it’s done. It’s not uncommon for teachers to have a strong bent towards social justice, and I am no exception in that regard. I want to see things done the correct way and according to policies that I am mandated to follow, and it bothers me when people who are in leadership positions flaunt authority and act with impunity. It seems I wasn’t the only one bothered by Dan’s unprofessional and unethical behaviors (I never thought I was, not with how blatant he was with me over a mere few hours of interaction), but finally somebody stepped up and Dan had to face the consequences for his selfish, short-sighted decisions. There was overwhelming, irrefutable evidence of him going too far. I cling to this thought and to the understanding that our country in many ways is built on the idea of accountability and fairness from the top of the government all the way down to the private citizen. I’m heartened by the fact that Dan was caught and punished, and I’m hoping that more of the same happens at a much higher level in regard to someone who seems to have been a role model for how Dan conducted himself. 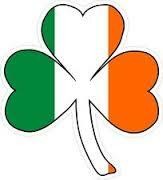 In the spring of 1995, I received a call from Dan, a teacher at a high school in Evansville, Indiana. He said he wanted to interview me for an English and Speech Coach position. I was game since I was two years out of undergrad without a job and was eager for a contract. The offers were just starting to roll in since I had completed an English endorsement to supplement my teaching license, and I was willing to go wherever whenever. I bisected the state of Indiana from northeast to southwest, about 700 miles round-trip, to meet with Dan and see what he had to offer. The school was huge, with very modern facilities and a football stadium carved out of a hillside in back of the building. I was impressed, too, with an administrator I met along the way who had perfect command of what I would come to call a “firm but kind” approach with students. She knew names, had made connections with students, and was firm but kind with the number of them she interacted with when I talked to her while she was patrolling the cafeteria during lunch. It was clear that students liked and respected her quite a bit. I didn’t get the job in Evansville, and Dan told me as much in the presence of another teacher he was interviewing. I was never much bothered by the news, if not the approach to hearing it. I had interviews rolling in throughout the spring and summer, and had a feeling that I just had to be patient and the right one would appear. If nothing else, my trip to Evansville was practice for what was to come. Turns out I was right, and the right job that I found took me in a far different direction geographically and professionally than working with and for Dan would have. Dan’s sheer arrogance and unprofessional conduct have stuck with me these many years. I wish I had spoken to his principal or superintendent about the things he said, if only for peace of mind. All of Dan’s behaviors came in the course of an afternoon, and they rolled out of him like he always conducted himself in such a brazen manner. I can’t imagine what someone who worked with him for a long period of time might list as his arrogant behaviors. The word “arrogant” keeps coming up here, and that’s why Dan still comes to mind twenty-two years later. 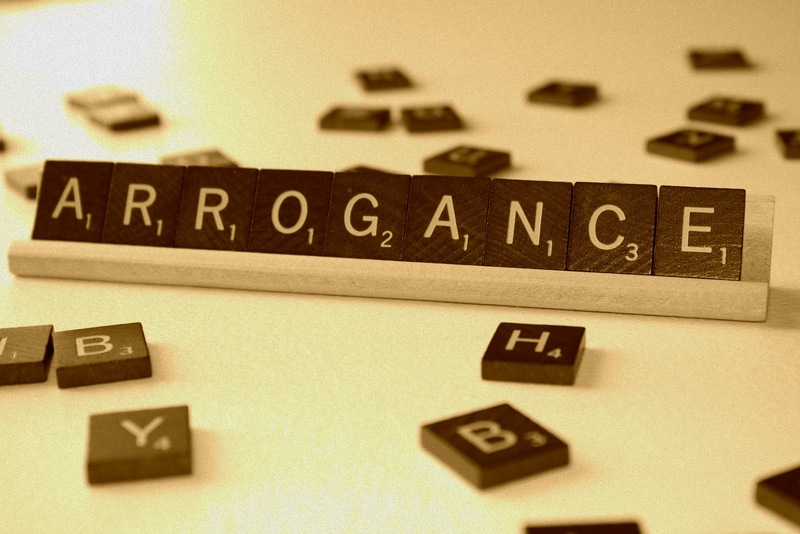 “Arrogant” is a word I seldom associate with teachers. 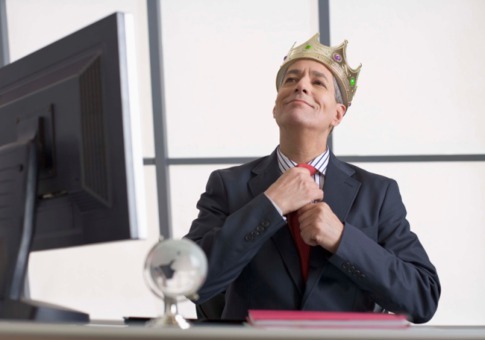 Arrogance is not usually a personality trait of a person who works for a mediocre income at ground-level with children and teenagers, tirelessly endeavoring to help them improve their skills and station in life no matter where they are. I may be biased when I make this claim, but teachers are some of the most humble people I know. On the other hand, the most arrogant people I’ve known in education have either been college professors or school administrators. I don’t know about the former, but Dan became the latter about ten years after I met him. I wasn’t surprised to find that out when I googled his name.